The Puvvada Law Office, PLLC is the practice of Sugar Land family law attorney Chikeersha Puvvada. Born in India, Chikeersha immigrated to the United States at age 5 and grew up in the New York/New Jersey area, where he also attended high school and college. After finishing law school in Austin, Texas, Chikeersha returned to New Jersey and was admitted to practice law in New Jersey. While in New Jersey, he worked at the law firm of Bernard James O'Connor, P.A, where he dealt primarily with issues involving family law, real estate law and estate planning. In 2007, Chikeersha relocated to Sugar Land, Texas, and was admitted to practice law in Texas. Soon thereafter, Chikeersha opened his own law practice. Chikeersha helped individuals with family law matters, real estate matters and estate planning during the first few years of his practice. After founding the Puvvada Law Office, PLLC, Chikeersha narrowed his focus to family law matters. Chikeersha resides in Sugar Land, Texas, with his wife, son and twin daughters. 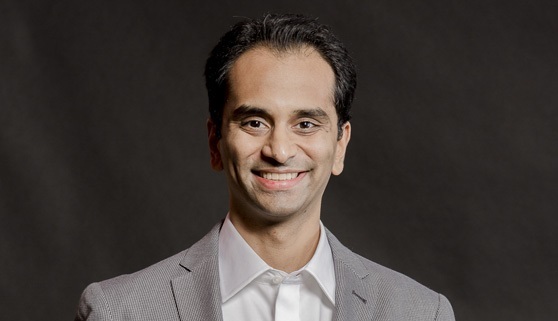 Chikeersha earned his Juris Doctor in December 2005 from The University of Texas at Austin School of Law, one of the top law schools in the nation. Chikeersha earned his Bachelor of Arts in 2001 from Columbia University, an Ivy League institution in New York City. Chikeersha is a proud resident of Sugar Land, Texas. He volunteers his time as a member of Sugar Land's Zoning Board of Adjustment. Chikeersha serves the South Asian community in Houston by providing pro bono services through Daya and India House. The information presented at this site should not be construed to be formal legal advice nor the formation of a lawyer-client relationship. Persons accessing this site are encouraged to seek counsel for advice regarding their individual legal issues. Chikeersha Puvvada is responsible for the content of this site. Chikeersha Puvvada is admitted to practice law in the following states only: Texas, New Jersey. Copyright 2017 - Puvvada Law Office, PLLC. All rights reserved.